Maxi D3 3000™ is your logical source for supplemental vitamin D. It supports calcium absorption in the gut and the mineralization of bones. It also supports modulation of neuromuscular control and reduction of inflammation. Maxi D3 3000™ is made with 3000 IU of vitamin D3, the most absorbable form of vitamin d. That’s why you want vitamin D3 preferred over vitamin D2. 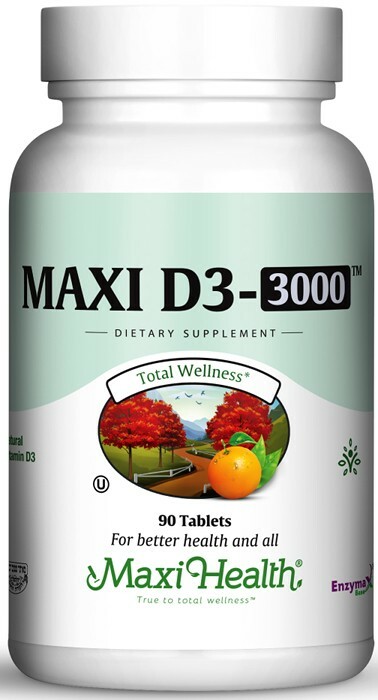 Try Maxi D3 3000™ to support your health.